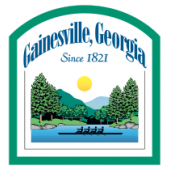 The four most common nursing roles in Gainesville, Georgia, are nurse practitioner (NP), registered nurse (RN), licensed practical nurse (LPN), and nursing assistant. Average yearly pay varies substantially by role, from $23,500 for an entry-level CNA position to more than $90,000 annually for advanced roles like NP. Before selecting a nursing career path, it’s important to consider the critical daily responsibilities of each role. Nurse practitioners diagnose, treat, and help patients to manage acute and chronic illnesses. NPs work in primary and acute care settings with a significant amount of independent healthcare authority. They interpret medical histories, conduct physical examinations, prescribe pharmacologic treatments, and perform minor surgeries and procedures. Registered nurses are the essential cogs in the healthcare wheel, performing a broad range of independent tasks while often supervising teams of LPNs and CNAs. RNs record patient symptoms, review treatment plans, measure progress, evaluate diagnostic tests, and assist with exams and surgeries. Practical nurses provide patient care under the supervision of RNs, physicians, and surgeons. They work in hospitals, nursing homes, private homes, group homes, and other similar locations. Common LPN duties include administering oral and intravenous medications, charting medical records, changing wound dressings, taking vital signs, and collecting specimens. Nursing assistants primarily work in healthcare and home care settings, providing hands-on patient care under the supervision of nursing and medical staff. Frequent CNA duties include taking vital signs, bathing and dressing patients, cleaning and sanitizing patient areas, lifting patients into wheelchairs and onto beds, and examining patients for bruises and other injuries. The training required for each of these roles varies. NPs must have specialized graduate education. After passing the NCLEX-RN national licensure examination, NPs will earn a master of science in nursing (MSN), doctor of nursing practice (DNP), or doctor of philosophy (PhD) while specializing in a particular nursing area. Popular NP specializations include acute care, neonatal care, gerontology, pediatric care, women’s health, cardiology, and family practice. RNs must hold an associate’s degree in nursing (ADN) or a BSN degree from an accredited, state-approved prelicensure program. Some RNs also hold an MSN degree, particularly those who aspire to leadership and administrative positions. In the state of Georgia, aspiring RNs must pass the NCLEX-RN national licensure examination before commencing practice. LPNs must complete an accredited, state-approved certificate or associate’s degree program in practical nursing. Aspiring LPNs in Georgia must also pass a national licensure examination, the NCLEX-PN exam, before commencing practice. CNAs must finish an accredited training program of approximately 100 hours, including both classroom time and hands-on practice. This brief program prepares them to obtain certification by completing the state’s written competency exam for nursing assistants. Graduates from all of these nursing educational pathways can seek employment with Gainesville’s leading hospitals and healthcare centers. The metropolitan area has a number of large medical employers, including Northeast Georgia Medical Center (NGMC) Gainesville, Northside Hospital, NGMC Barrow, and NGMC Braselton. If you’re ready to jumpstart your nursing career, we’ve compiled below a list of accredited nursing schools in Gainesville, Georgia, to help you get started.